December 17, 2015, 2015, "dingli scholarship" award ceremony was held in the lecture hall at the Henan University of Technology Professor Zhengzhou dingli New Energy Technology Co., Ltd. Director liuji LI, president of the Electrical and Mechanical Engineering, College of river ride, party secretary fang Zhou and other leaders attended the Electrical and Mechanical Engineering. Dingli Group chairman, Mr. Liuji Li is a visiting professor at Henan University of Technology famous. And Henan University of Technology of outstanding students awarded full scholarships each year, students not only solve part of the economic difficulties, but also to promote the development of China's machinery to increase students' motivation. Today, Mr. Li Liuji personally went to Henan University of Technology to attend the awards ceremony, and made an important speech. And proposed to the students self-realized independent thinking, hands-on, learn from experience in practice, one can do for the country, people who contribute to society after graduation. Dingli scholarship in River Electrical and Mechanical Engineering, established for many years, is sponsored and funded by the Zhengzhou dingli year award once every ten reward outstanding students. Aims to reward outstanding achievements in school, motivate students strenuously study assiduously, inspirational talent. Li, chairman of Zhengzhou full Silurian on "dingli scholarship" award ceremony, in his speech to the students made a fervent hope and higher requirements, I hope you do not live very caring leadership and ardent study hard, work hard, with excellent results return to the motherland, thanksgiving times, contributing to society. Winning student representatives expressed Professor Li Liuji gratitude in his speech, and said it would "Gratitude in mind, Thanksgiving in the line", and strive to become useful to our country, we will pass along the love. Zhengzhou Dingli New Energy Technology Co., Ltd. is a full drying equipment in the domestic industry, the only R & D, design, production, sales of high-tech enterprise groups, is committed to food waste treatment facilities, coal (mud) upgrading equipment, feed type dehydration bake dry equipment, biomass energy equipment and other more than 80 high-tech product development and production, has more than 200 patents and technological achievements so achieve technology transfer, and access to customers alike. 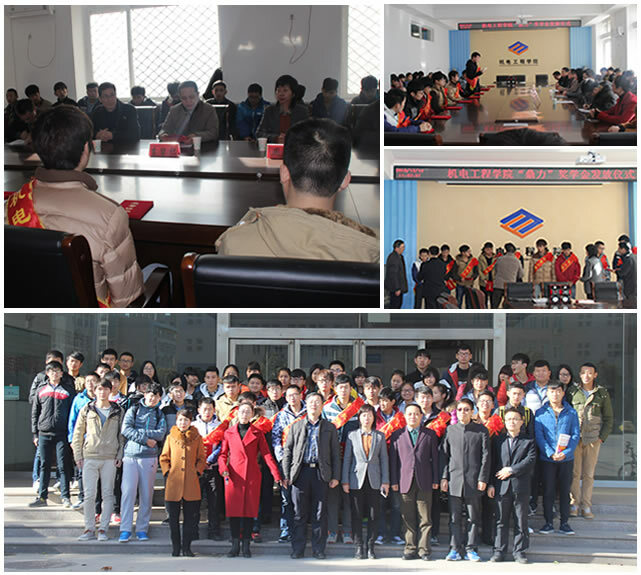 While full scholarship has been carried out for many years, Zhengzhou Dingli New Energy Technology Co., Ltd. for the full development of the drying industry has brought positive energy to the development of the machinery industry is more willing to make efforts and contributions, which is initiated by the chairman of Zhengzhou full scholarship for their meaning one.